Great for presentations, data storage and for making a lasting impression on customers and employees. Choose a USB drive and we’ll customize it with your name or logo. We offer fast turn-around times and low setup costs as well as other custom services. 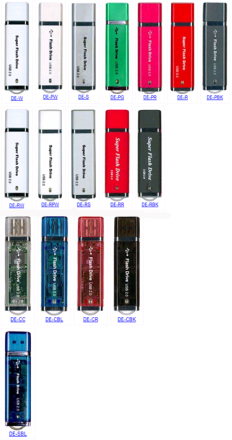 Image makers offers a large selection of USB drives in dozens of styles and colors. We can give you a three color customized logo for less than half of those plain USB drives found at retail. 1GB drives start as low as $9.99 each.